Q. What is DigiSkills Training Program? A. DigiSkills Training Program is Pakistan’s first Online Training Program to empower the youth with skills that are in-demand in freelance market. It consists of multiple online skill-based training courses. The very unique feature of this program is that the course content has been designed specifically for a Pakistani audience in a mix of Urdu-English language. Q. Is the DigiSkills Training Program a private or Government program? A. DigiSkills Training Program is an initiative of the Government of Pakistan spearheaded by Ministry of IT & Telecom through Ignite - National Technology Fund (formerly National ICT R&D Fund) and executed by Virtual University of Pakistan. Q. Why should I join this program? A. You should join this program to enhance/learn skills that are in-demand in freelance markets. Learning these skills will enable you to become part of rapidly growing freelance market and earn without looking for a job. Q. Do I have to pay to join the training? A. There is no fee and the program is being offered absolutely for FREE! All you have to do is sign up for the program and start training in courses which suits you. Q. So where do I get this training? A. This is an online training program. Once you sign up for this program and enroll the courses, you get access to DigiSkills Online Learning Management System. On LMS all modules videos and content you are enrolled in will be available. You can access it from anywhere, like from your home or office, all you need is a computer with Internet connectivity. You can self-pace the training or you can follow the announced time table which will be available on Portal. Q. How to watch videos through LMS? You will find your enrolled courses directly from the Home Screen on your LMS under “My current Courses” section. Click on the respective course, and you will be redirected to the "Topic content" tab. Here you can watch the Videos of the current week. To go to the next topic video, click on “Next Topic" link available on the top right side. After logging in to your LMS account, click on “Course Website” book icon under ‘My current Courses’ section. Here you’ll see the topics of the current and previous weeks under ‘Course topics’ tab. Click on 'week' of which you want to watch Videos. Click on any topic; it will redirect you to the “Topic Content” tab. Here you can watch the Video. A. You can ask questions at any time using the DigiSkills Learning Management System or DigiSkills.pk Contact Us page. Our coaches are there to respond your queries. There are three interfaces where you can ask questions. Mobile phone number: You can call on +92 311-111-3444 and ask your question directly from the coach. Q. Do I get any certificate after completing the training? A. Yes, you will get e-Certificate from DigiSkills Training Program if you will fulfill course completion criteria. 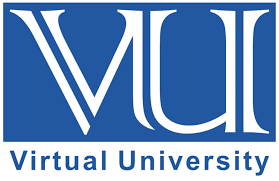 DigiSkills e-Certificate will be issued by the Virtual University of Pakistan. Q. How can I signup in this training program? A. You can sign up for this program by visiting https://digiskills.pk/Register.aspx. This training program is completely free for everyone. Q. Which courses are being offered in this training program? A. There are 10 courses that are being offered in this program. Q. What are the technical requirements of this program? A. To access the DigiSkills program you need to have a good stable internet connection at home along with a computer (Desktop or laptop). The DigiSkills program is not optimized for phones so we recommend that you use a desktop or a laptop device to access the training videos and the course material. Q. What is the minimum educational qualification required for this program? A. There is no minimum educational requirement to take the DigiSkills training and we encourage everyone who can read, write and understand English to take the training to build their future as a freelancer. Q. I am already a freelancer, will this course be helpful to me? A. Even if you are a freelancer, you can enroll in our DigiSkill Training Program to learn new skills to make more money or enhance your freelancing portfolio by learning from experienced freelancers and experts. This course will definitely offer something new and helpful to existing freelancers. Q. I have registered with DigiSkills.pk, but unable to activate my account. A. You can Sign in with your registered Email Address and Password and regenerate activation email to activate your account. Q. I have enrolled in the courses, but unable to access study material and videos of the courses? A. The course related study material, videos and all related links such as, Course Website, Announcements, and Discussions etc. will be accessible after the start of the batch. We encourage you to sign up and you will automatically be notified once the batch starts. Q. What is the maximum limit of courses I can take in overall batches? A. There are total of 10 courses that will be offered in this program. In one batch a trainee can take up to maximum of two (2) courses. In this way, you can get training of all the 10 courses in 5 batches. The limit is imposed to make sure a trainee gets the maximum value out of the courses they are enrolled in and can actively participate in discussions, coaching and assignments. Q. I am interested in a course that is listed as upcoming course. How can I enroll in that course? A. The upcoming courses are the courses, which are not being offered in the current batch. Therefore, to enroll in those courses, you have to wait for the batch in which they shall be offered. We still encourage you to sign up and you shall automatically be notified once those courses are launched. Q. After the completion of training, how can I get work from freelance market? A. This program will help the trainees to learn new skills. As soon a trainee learns any skill, he\she can make online profile on any freelance marketplace. Trainees will be encouraged to find jobs online on their own through freelancing platforms. During the training, our coaches will help you in making profile and bidding for the projects in freelance markets. Q. Will this initiative offer jobs to freelancers or is it just to train them? A. This program has been launched to train people in those skills that are demanded in freelance markets. It will not offer jobs to trainees, rather, it will offer skill-based trainings, which will enable them to get projects from freelance markets. Q. I need professional advice in selection of the course(s)? A. Which course is suitable for you, it depends on your interest and to some extent on your previous education. All courses are equal in importance. Freelancing course is mandatory, whereas, from the remaining courses, you can select any course which excites you. Courses’ introduction and learning outcomes that are available on web portal can help you in deciding. Q. How can I reset my lost Password? A. You can reset your password yourself through “Forgot Password” link available on “Sign In” page and follow the given instructions. If the problem persists, you can contact the support team using Contact Us interface. Q. When the videos and course contents of each week will be available on LMS to registered students? A. The content and videos of each week will be made available on the respective Monday by 10 AM. Q. How can I enroll in the courses offered by the training program? A. First, you need to sign up for this program by visiting https://digiskills.pk/Register.aspx. After Signup, you can enroll in any two courses of your choice. Freelancing is a mandatory course for the trainees enrolling the course(s) for first time. Note: Enrollment will open one month prior to the commencement of each upcoming batch. Q. When will the third batch start? A. Enrollment for the courses of the third batch will start from March 01, 2019, and the training will start from April 01, 2019. Q. I could not access course material for few weeks during or at the start of the training, can I access previous course material including videos on LMS now? A. Yes, you can access all the previous course material including videos that you have missed during the training period. Lectures of each course are offered on weekly basis. A. All the videos and learning material for each module will be available on DigiSkills Online Learning Platform. You can self-pace the training or you can follow the announced time table which will be available on Portal. Q. Can I access videos of the courses I enrolled in the previous batches? A. Yes, you can access previous courses videos under "My Previous Courses" section on LMS. However, other content material (Exercises, Handouts, Internet Links, etc.) will not be available for previous courses. Q. How to use LMS? Q. How can I get the loan from Akhuwat foundation and what is the eligibility criteria? Note: Loan amount will be decided by the Akhuwat foundation depending upon Applicant’s proposal. Q. How can we get a hard copy of E-Certificate? A. The eligible trainees will only get the soft copy of a verified e-certificate for each of their respective courses. You can access a verified e-certificate as soon as course certificates become available in your Learning Management System. To download your e-certificate from LMS, please consider these steps; Login to your LMS -> Click on the ‘My Results’ link under the ‘Trainee Services’ section (available on the homepage) -> Now click on the ‘View’ option for any of the completed courses, it will redirect you to the e-certificate. -> ‘Download’ and ‘Print’ options are available on the top right corner of that page.